Amazing news has come out of Bristol that Shaun the Sheep is getting a second movie! It’s going to be a while away as the news is that pre-production on the film is due to start in January 2017. Expect the movie to hit the silver screen in around 2020, or sooner depending on how quickly they can get Shaun to work. 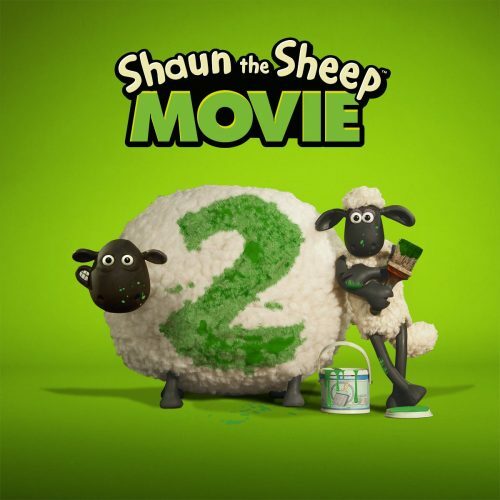 The world’s favourite sheep returns to the big screen in SHAUN THE SHEEP MOVIE 2, the sequel to his hugely successful and highly acclaimed Oscar nominated 2015 cinematic debut. Shaun and the Flock are back for another epic and hilarious journey, in what will be their biggest and most exciting adventure yet. SHAUN THE SHEEP MOVIE 2 continues the production partnership with AARDMAN and STUDIOCANAL following the success of SHAUN THE SHEEP MOVIE directed by Mark Burton and Richard Starzak, which grossed $106 million worldwide and Nick Park’s highly anticipated new prehistoric comedy adventure, EARLY MAN, currently in production. STUDIOCANAL is co-financing and will distribute in its own territories, the UK, France, Germany, Australia and New Zealand, selling worldwide at AFM.